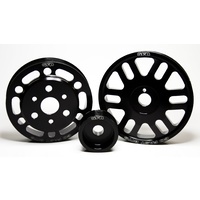 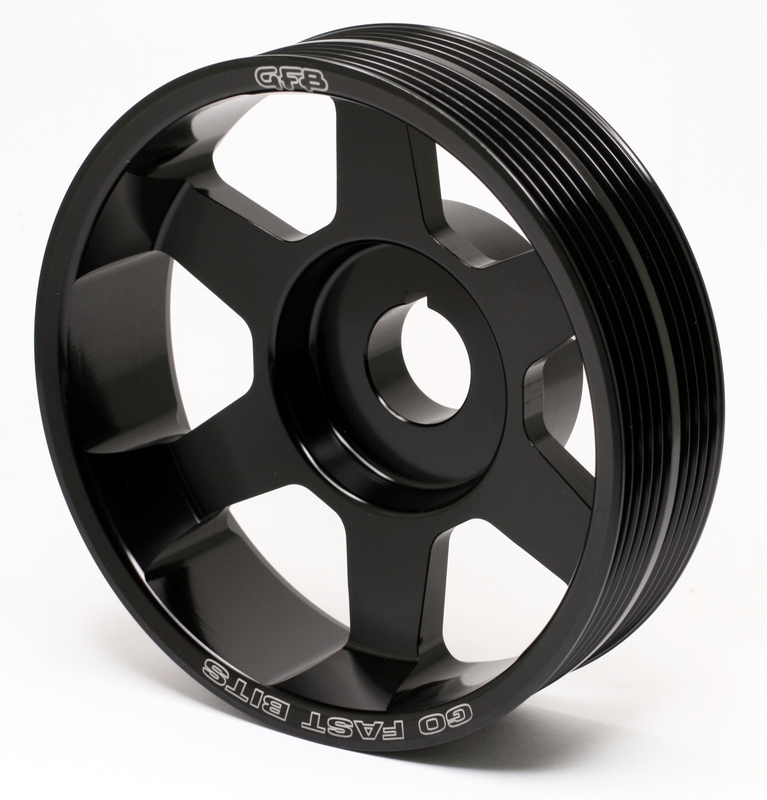 We have re-designed our WRX lightweight pulley (part #2009) to provide even more benefits. 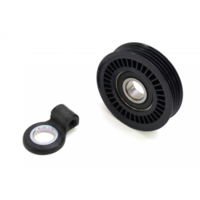 It is now shaped to look exactly like the factory Subaru pulley, so it goes unnoticed in your engine bay - it even uses the factory belts. 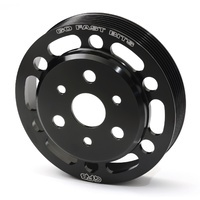 A significant amount of weight has been removed from around the rim for even better throttle response. 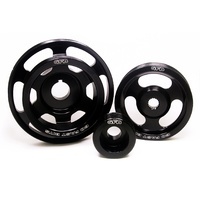 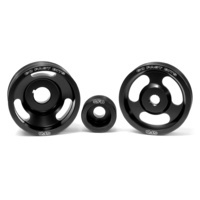 The 2009 pulley now weighs in at 578g (previously 790g), compared to the factory 2180g on the WRX and 2575g on the STi. 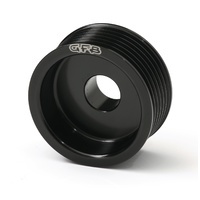 This pulley will improve throttle response (particularly off-boost response) and allow the engine to rev more freely in the upper rev range. 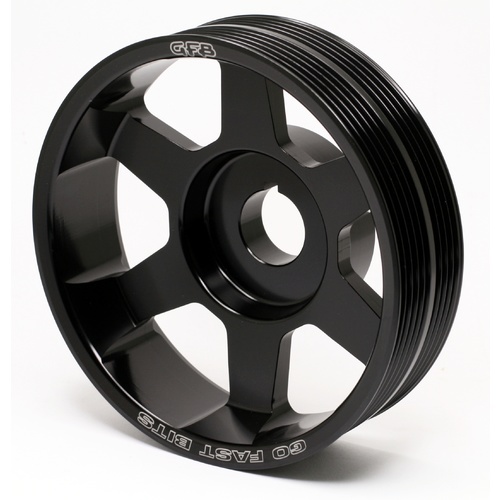 It suits ALL Subaru EJ-series engines, and does not require additional belts.